This Wiggles bowl will make mealtime fun. 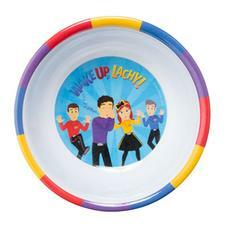 Eat your snack to reveal your favourite Wiggly friends, but what's Lachy doing? He's fallen asleep! The words 'Wake Up Lachy!' appear on the base.